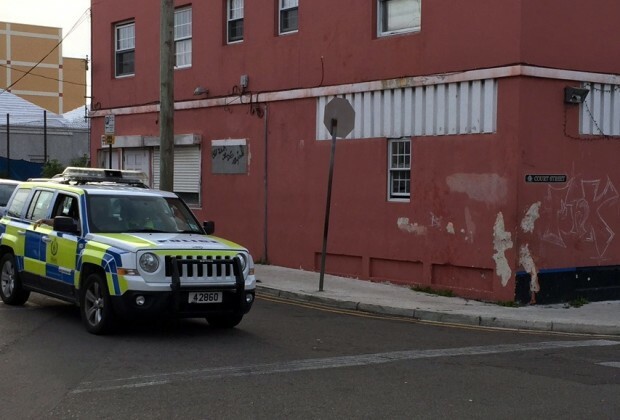 [Updated] As of 6.30pm this evening [May 14] a police presence was seen in the Court Street, with unofficial reports indicating that gunshots were heard. Details are limited at this time, however we will update as able. Update 6.55pm: The police said, “‎Around 6:10pm today [Sunday, May 14th] police officers responded to a report of gunshots in the Court Street, Pembroke area. Ask D what the word on the street is. I like that comment. Who else would know….D. It’s amazing that an individual that is so well connected/grounded in the community cannot remember who told him that violence was imminent as he warned the police/media. Hot air or Alzheimer’s? My vote is for the former. Don’t our elected officials take some any kind of oath to uphold law and order? I thought that Bermuda was gun free ? No guns allowed ! ?